Directed by Oliver Stone, this film takes a look at life on and off the football field. Lead by an all-star cast including Al Pacino, Cameron Diaz, Dennis Quaid, along with a breakout role for Jamie Foxx. 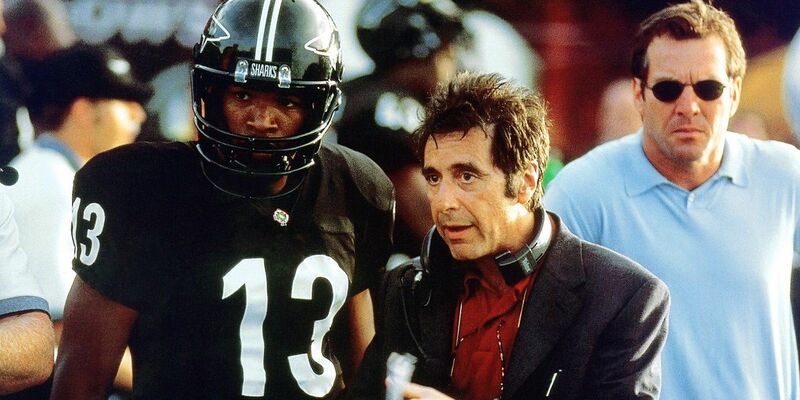 a young team owner who inherits the team, Pacino plays a veteran coach that's being forced out, and Foxx takes over the team after the aging star quarterback (Quaid) gets injured. This is an intense and gritty football film with some really solid performances. The film incorporates a nice balance of on-field action and behind-the-scenes drama.